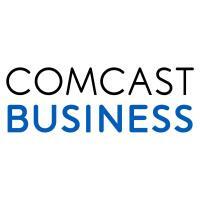 Berlin, CT – Yale Locks & Hardware today announced that smart locks from its Assure Lock® line can now be connected to Comcast’s Xfinity Home service, its home security and home automation solution, when purchased with a Yale Zigbee Network Module. The Yale Assure Lock line is an extensive series of smart locks that offers homeowners the choice of key-free or keyed locks in both touchscreen and pushbutton versions, all in a choice of three finishes to complement any home. Four compatible Assure Locks with a Zigbee Network Module (available for purchase separately or with the lock) can be added to the Xfinity Home mobile app. Xfinity Home customers who already own a compatible Assure Lock can purchase a Yale Zigbee Network Module separately and easily add the device onto the Xfinity platform. When Yale’s smart lock is integrated into an Xfinity Home system, the door locks can be controlled and monitored from anywhere using the Xfinity Home mobile app (iOS or Android). Users can remotely lock and unlock doors, check lock status, and create rules such as receive a notification if the door is unlocked after 8:30 p.m. Additionally, Xfinity Home customers with the award-winning X1 voice remote can say, “Lock the front door” to lock their compatible Yale Assure Lock. Yale Assure Lock line with Zigbee is now available to Xfinity Home’s more than 1.2 million subscribers through the Works with Xfinity program. For more information visit https://www.xfinity.com/learn/home-security/devices/yale-lock.